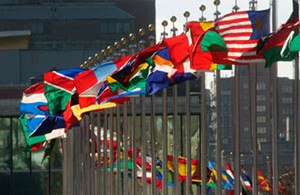 MetroFlags-Europe.com carries various exceptional quality flagpoles. We carry White Titan Flagpoles, Colonial Flagpoles, and other Commercial-grade Flagpoles. Along with Flagpoles, we also carry Outdoor & Indoor Mounting Sets, Flag Spreaders, and various Flag Table Bases.